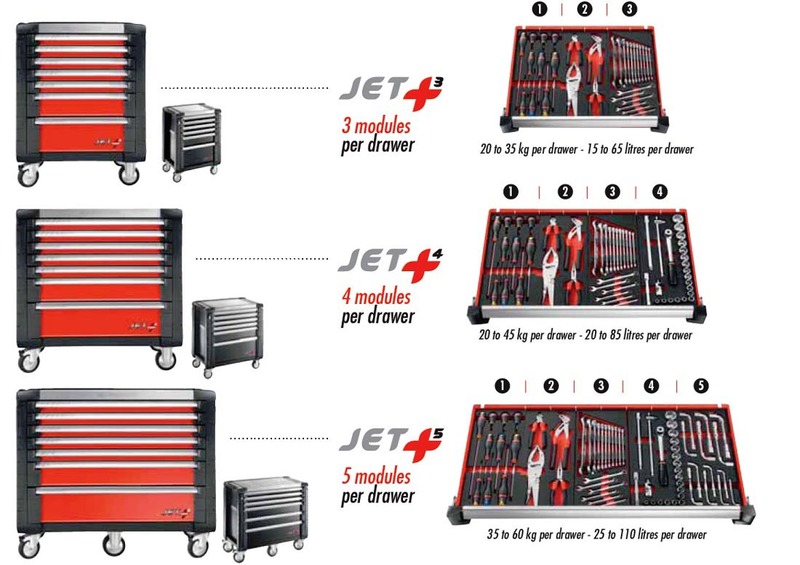 Facom Jet +3 Series Mobile Tool Cabinet (9 drawer)(Freight!) 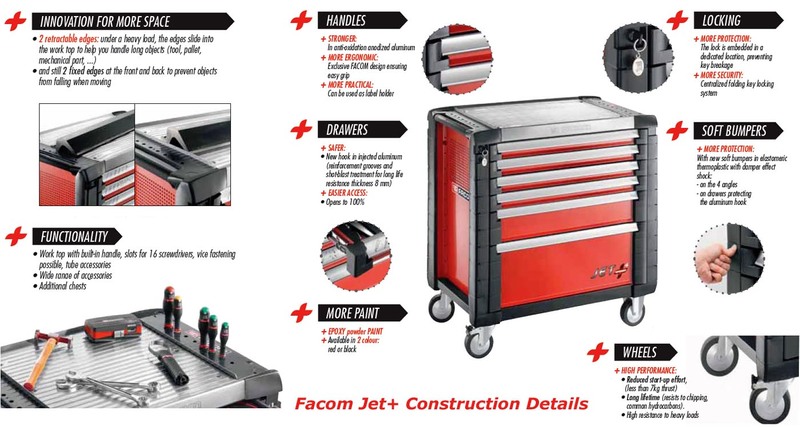 - Facom redesigned their mobile tool storage in 2011 with significant functional and aesthetic improvements over the previous Jet and Chrono series. The "M3" series is their smaller width cabinet and has been designed to hold 3 tool modules sets in each of the shallow drawers. 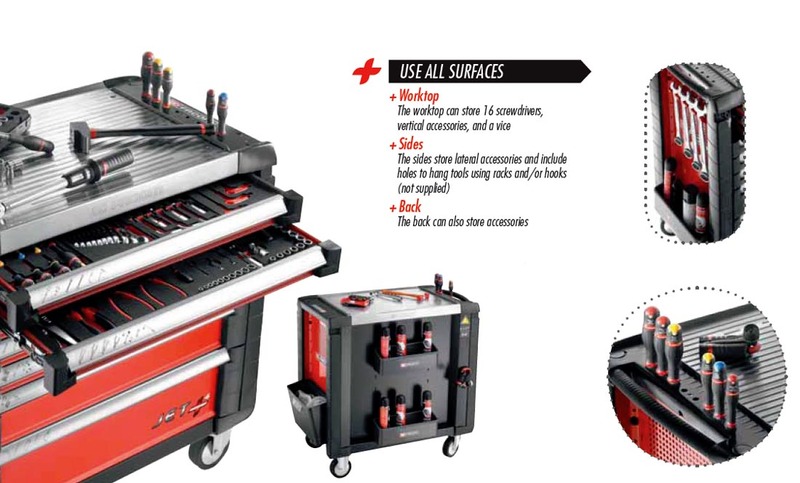 The tool cabinets are available in Black and Red from the factory. See Facom's Jet Website for additional details, photos and accessories. This toolbox can be picked up at my warehouse in Northern NJ. 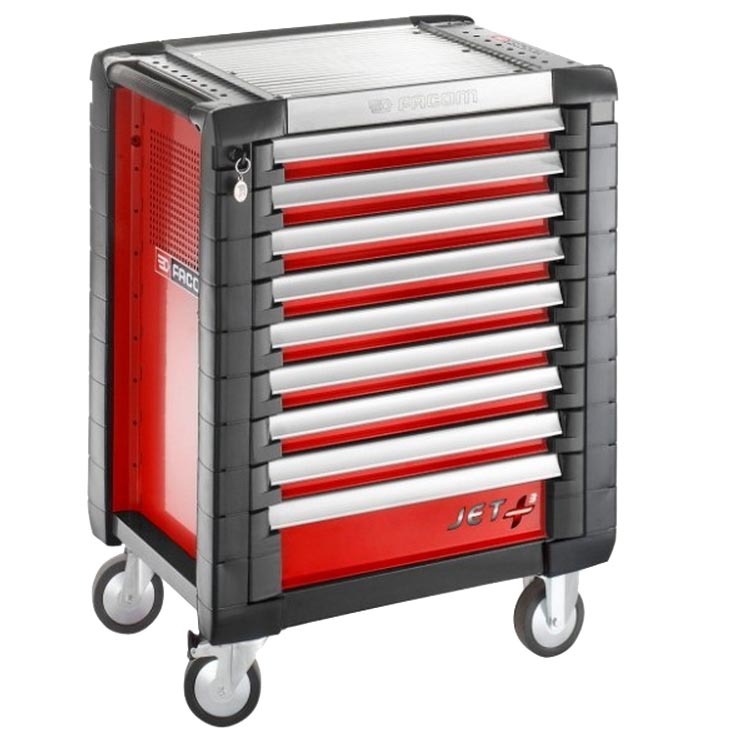 Otherwise, there is a cost of $300-350 per toolbox (excluding AK/HI) to ship these to your location.